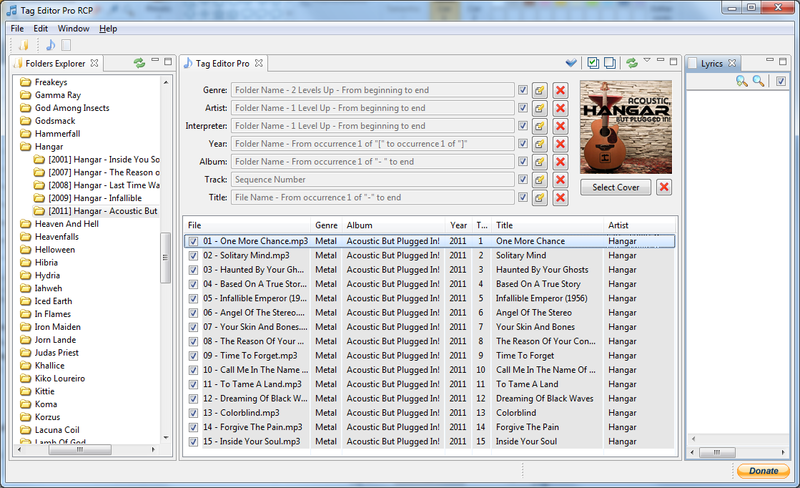 TagEditorPro (TEP) comes to help you editing you mp3 tags. Using TEP you can edit your tags just clicking once. That's it! You configure your mp3 files pattern (folders names and files names) and TEP extracts from those names the necessary data to save as tag. Also available as standalone RCP. I've been using TagEditorPro for some months and it's an amazing tool. Way to go!